Welcome to Ireland! Upon arrival, you will go through customs and immigration. Should you opt to purchase a transfer to your hotel; a representative will be waiting for you as you exit immigration. Make your way to Limerick and arrive at your hotel. Check in and do not give in to jet lag! There is so much for you to see and do! Start by exploring the heart of Georgian Limerick -- the neighborhood called Newtown Pery. Heading north from Limerick Colbert railway station, you will reach Baker Place, where there are a number of shops and restaurants clustered around St. Saviour`s Roman Catholic Church and the iconic Tait`s Clock. To the west of Baker Place is People`s Park, a large green space, where you can stroll to your heart`s content. Also located in the park is the Limerick City Gallery of Art, one of the largest contemporary art galleries in the country. 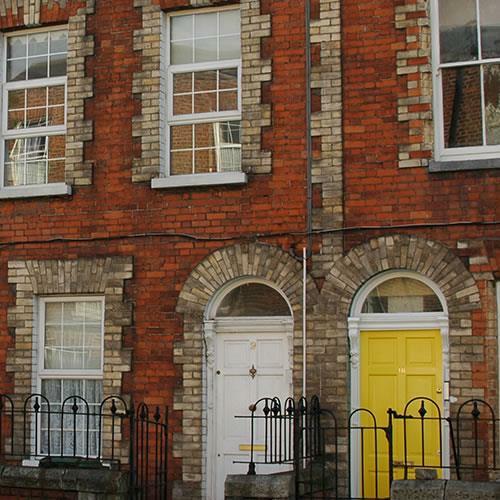 On Lower Hartstonge Street, you will find the Frank McCourt Museum, chronicling the life and times of the Angela`s Ashes author. If you walk a block up from the McCourt Museum, you will reach the terminus of O`Connell Street into The Crescent, where there is a statue of Daniel O`Connell, a 19th-century Irish radical who was a Member of Parliament and a father of the modern-day independence movement for Irish Catholics on the island. Walk up O`Connell Street and view the beautiful Georgian architecture which was a hallmark of the city planning undertaken by Edmund Sexton Pery in the eighteenth century. Once you get to Ellen Street, turn right and walk until you enter Irishtown and see the Limerick Milk Market. If it is closed when you pass by, make a note of when it is open and shop with the locals one morning or afternoon. 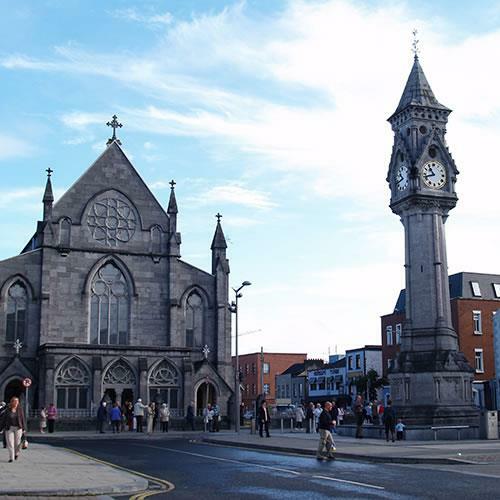 Take Heuston Place to Lower Gerald Griffin Street and turn left, making your way to St. John`s Square, where you will see St. John`s Cathedral, the major point of interest in Irishtown. Irishtown, corresponding to the Milk Market and Johnsgate neighborhoods today, was the area where the native Irish lived almost exclusively prior to the eighteenth century. Make your way back to your hotel at the end of the day, taking in dinner at a restaurant or cafe of your choice. 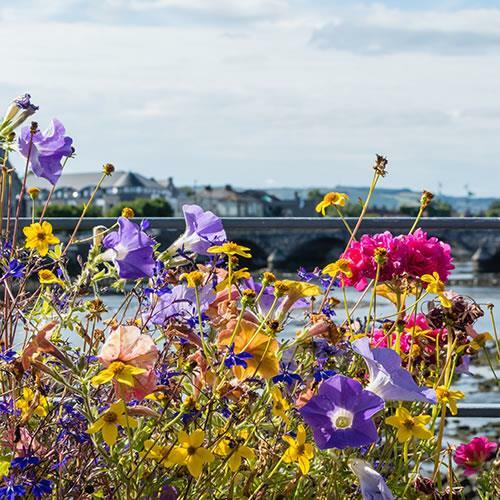 Cross Thomond Bridge and start your sightseeing on King`s Island. Formerly a walled city, the Vikings and the Old English made their homes here. As a result of the English moving in after the 12th century, the southern portion of King`s Island was informally called Englishtown. As you cross the bridge, on the right you will see King John`s Castle, completed by the English around the year 1210. The Bishop`s Palace on the left includes The Carrol Collection, a free art and history permanent exhibit inside. Take Nicholas Street down about 750 feet and you will see the 850-year-old St. Mary`s Cathedral on your right. 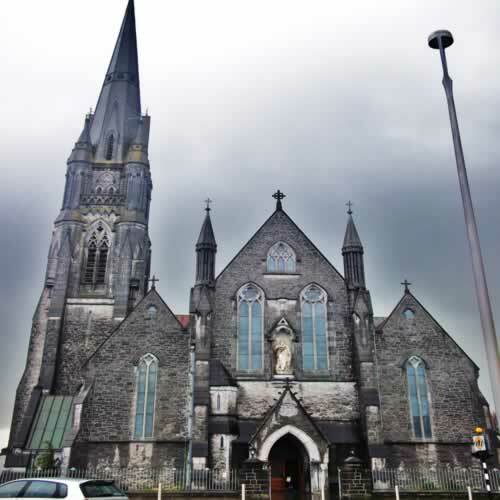 It is the oldest church in Ireland that is still regularly used for services. Cross Mathew Bridge (Bridge Street) and make your way to Arthur`s Quay Park for a nice lunch. Pick up some sandwiches at the nearby shopping center and enjoy a meal amongst the greenery. 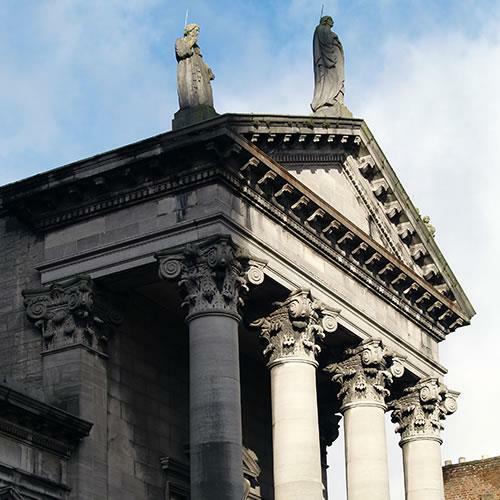 Afterwards, walk to Sarsfield Bridge and visit The 1916 Memorial, featuring three local martyrs of the 1916 Easter Rising. 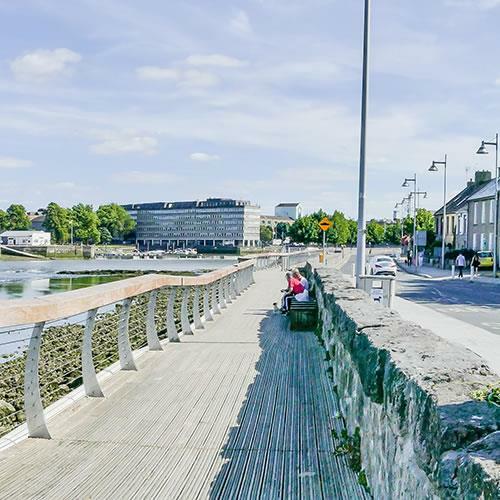 As you make it back to Newtown Pery and walk down the Boardwalk at Harvey`s Quay and Howley`s Quay, you will pass restaurants, bars, and department stores. A block off the boardwalk, there`s The Limerick Museum, the city`s history museum. 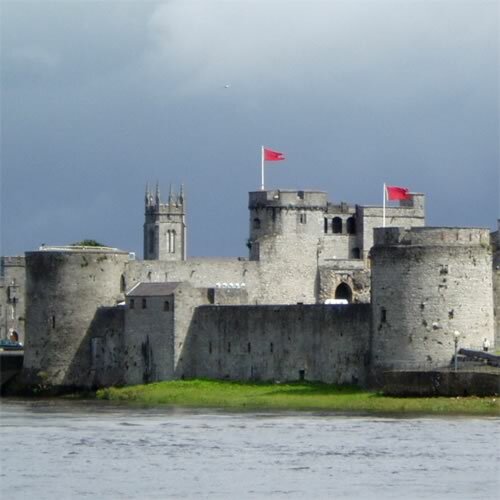 After taking in some of the city`s historical artifacts (there are 60,000 in The Limerick Museum`s collection! ), walk a half-mile down the river to the floating docks. Built in the 19th century, the docks helped to elevate Limerick to major city status. In the middle of the dock there is a sixty-foot, four-faced limestone Dock Clock, installed in 1880. In the evening, head up the Quays and decide on a place to eat and one to stop in for a drink (or drinks!). Return to your accommodations at the end of the evening. 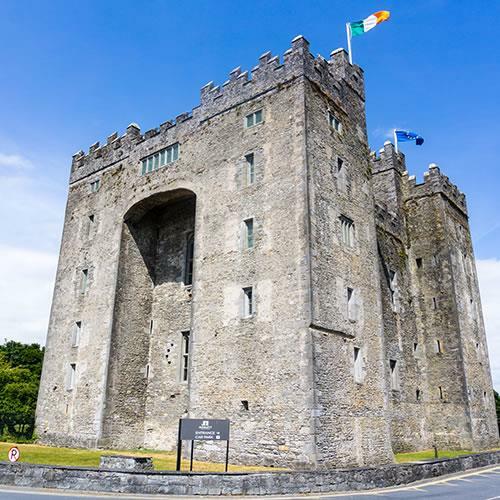 Start your day early by heading west to Bunratty Castle and Folk Park, the largest folk village and living history museum in the Republic of Ireland. The buildings, including a castle, a church, and even restaurants, sits on an area about a half-mile long but only six or seven hundred feet wide. There is a viewpoint next to the bridge on Old Bunratty Road that will give you great views of the castle. Afterwards, take the N18 to the N69 and head southwest of Limerick to the villages of Mungret and Clarina. In Clarina you will see the ruins of Carrigogunnell Castle, which was destroyed by the Williamites during the 1691 Siege of Limerick. In Mungret there is Mungret Abbey, which dates from 551 CE and once served as a church by the Vikings; the current church building dates from the twelfth century. Finally, take the N69 to the R445 and make your way to the University of Limerick. The area in and around the university is very eclectic and vibrant. 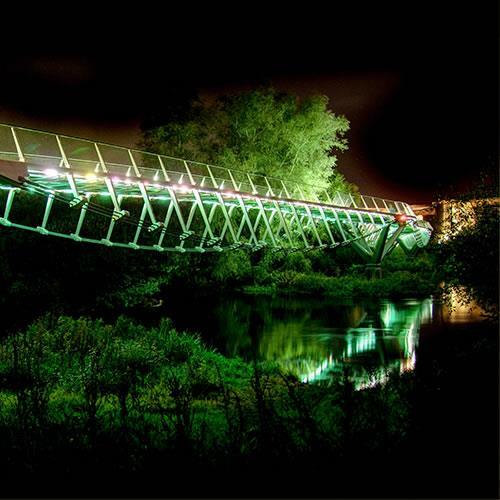 Take a walk on The Living Bridge, the longest pedestrian bridge in Ireland (1150 feet). If you want to eat lunch or dinner over here, you will find restaurants congregated around the Kilmurry Roundabout and Dublin Road. In the evening, return to Limerick and take in any sights that you want to see one more time before going to your hotel. Eleven miles southwest of Limerick, the village of Adare is renowned as one of Ireland`s prettiest villages. Snuggled in a wooded setting among the rich quiet farmlands of the Golden Vale by the Maigue River, Adare is a model village dating from the time of the Norman Conquest. It has been home to the Earls of Dunraven for over three centuries. Thatched cottages line its broad street, punctuated with beautiful stone buildings and picturesque ruins. The Maigue River flows under a graceful stone bridge and alongside medieval monasteries which quietly count the passing centuries. 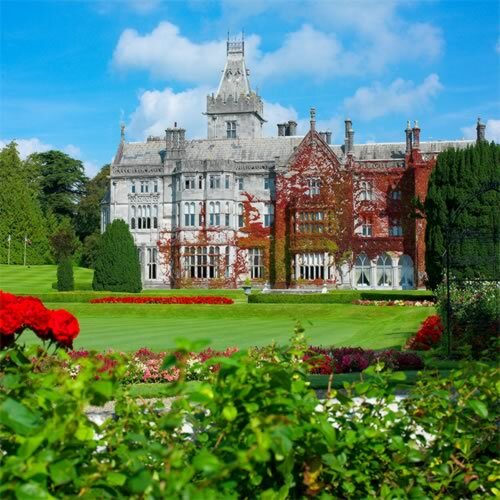 The entrance to the village from the east gives way to views of ancient buildings, including the Norman-built Desmond Castle on the banks of the Maigue, while the 19th century Neo-Gothic Adare Manor is set in 840 acres of parkland and nestled among tall oaks. Today, Adare village is an architectural wealth of scenic beauty. To learn more about Adare, go to our dedicated page here. The beautiful and enchanted lake Lough Gur lies 13 miles southeast of Limerick City. From the level surrounding countryside it unfolds in beauty with its placid waters and rugged hills, a fairyland of stone circles, ancient habitation sites, megalith tombs, crannogs and castles. Lough Gur tells the story of the pre-Celtic settlers who first came to the area over 6,000 years ago, and continues to the present day in the people who still dwell and farm in the locality. Lough Gur is at the heart of a remarkable archaeological landscape featuring sites that represent every major period of human history in Ireland. Physical evidence of occupation from the Neolithic, Bronze Age, Iron Age, Early Christian, Medieval, Early Modern and Modern eras has been found in the immediate vicinity. 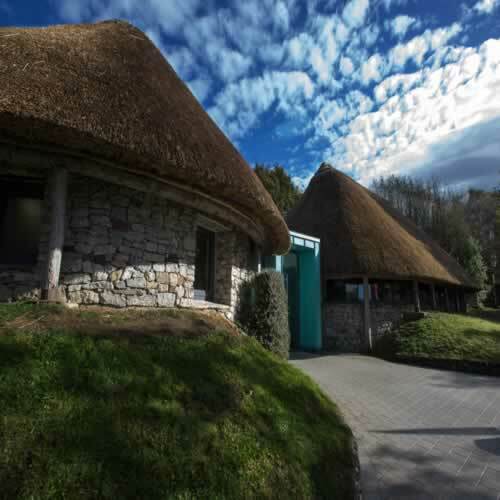 To learn more about Lough Gur, go to our dedicated page here. Depart your hotel for the airport that will take you home. We recommend that you purchase a private transfer; if so, a representative will meet you at the hotel in time to take you to the airport for your flight out.